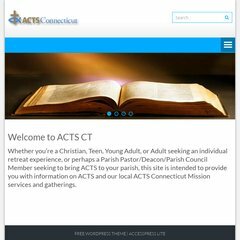 Topics: Leadership Training, Registration Forms, Parish Invitation, Faq's, Music, and Create A Free Website. Its 2 nameservers are ns2.officelive.com, and ns1.officelive.com. Microsoft Corp (Washington, Redmond) is the location of the Microsoft-IIS/6 server. It is written for ASP.NET language.